She was originally due to hit Australian soil last year to perform at the TV Week Logie Awards, but postponed to allow her to rest and prepare herself for the release of her then upcoming album ‘The Gift’. 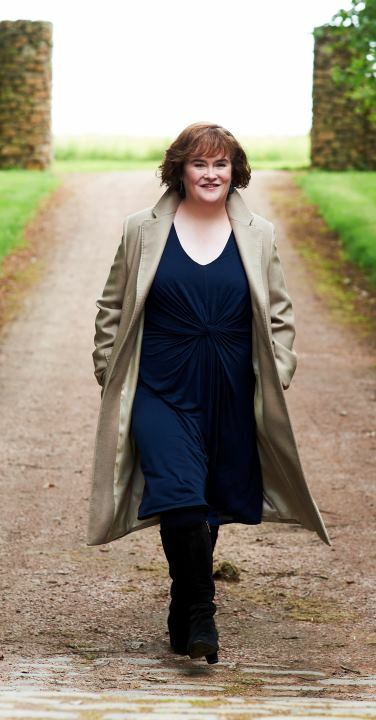 But this morning comes confirmation from Sony that Susan Boyle will finally make it to Australia next month on a promotional visit for her new album ‘Someone To Watch Over Me’. The visit will include a performances on Channel 7’s ‘The X Factor’ and Channel 9’s ‘Today’, along with an exclusive secret show in Sydney on Monday November 07. “I am so excited about coming to Australia. I can’t wait to get there, to meet the people, to see the sights and to sing,” Susan said in a statement. With more than 14 million albums sold across the globe, there’s bound to be plenty of interest in the new album when it drops to retail on Friday November 04.